Fashion sketches by Virginia Johnson published in Descant. I paint all of my designs by hand. I use watercolor on paper. This is my most cherished part of the creative process. I welcome accidents in my sketches. In the manufacturing process, I try as much as possible to maintain a hand-crafted feel. I welcome print flaws in the fabric because this allows the presence of the human hand to show through. Virginia Johnson – artist and designer. This quote is from an essay Ms. Johnson wrote for the fashion issue of Descant, volume 38, number 3, fall 2007. If we worry less about the outcome and just enjoy the process, that’s where we find art. Have you ever wondered who made that T-shirt you’re sporting? Jacket? Jeans? Until recently I hadn’t, nor had the film director Andrew Morgan. Then in 2013, Mr. Morgan was reading in the New York Times about the Bangladesh factory collapse in Rana Plaza. Shocked and horrified to learn of the conditions those factory workers (and many others) endure, he began to ask some basic questions: Who makes my clothes? What are their lives like? Are they better off? 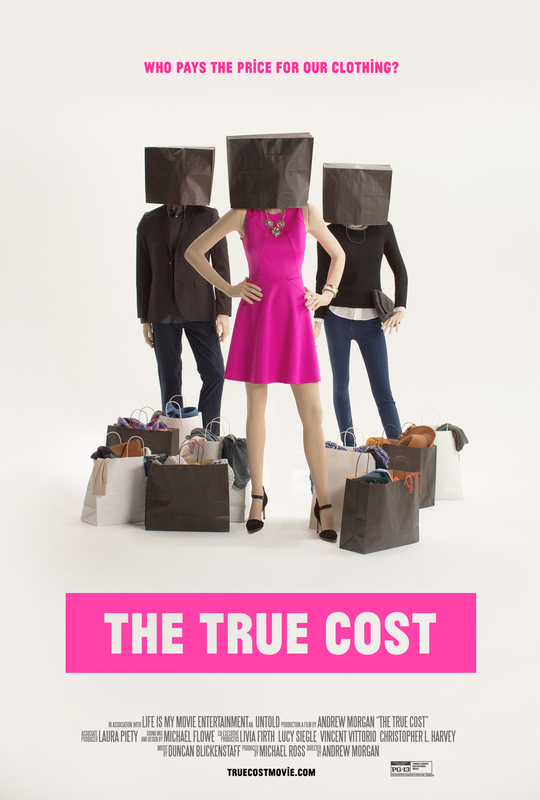 In his new film, The True Cost Mr. Morgan helps answer these questions by traveling the world and talking to people in the industry from designers such as Stella McCartney to workers in far away factories. He interviews professionals about the business of fashion, globalization, consumerism and the toll all of this must-have fashion is taking on our planet and the people who make our clothes.